I am pretty behind with posting but I think I will be pretty much caught up by Monday. I have this update today, pictures from the Village Voice Web Awards tomorrow and then absolutely crazy pictures from last night going up Monday. You need to make sure to tune in for those. Last night was nuts. 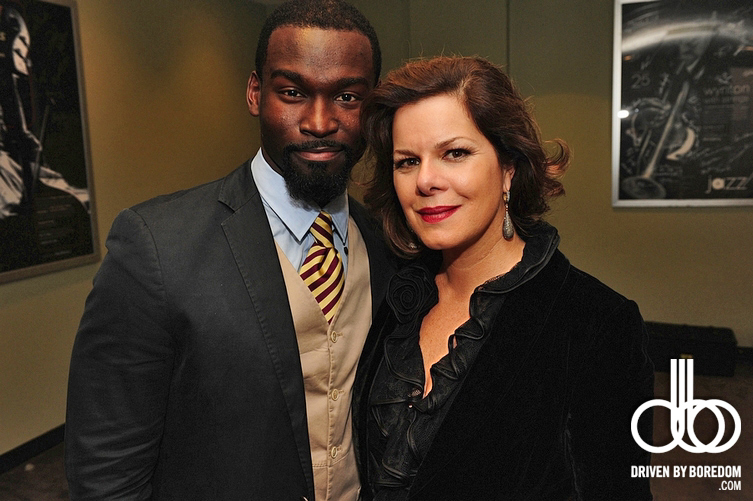 Anyway, I got hired to shoot the 2010 Tisch Gala again this year. 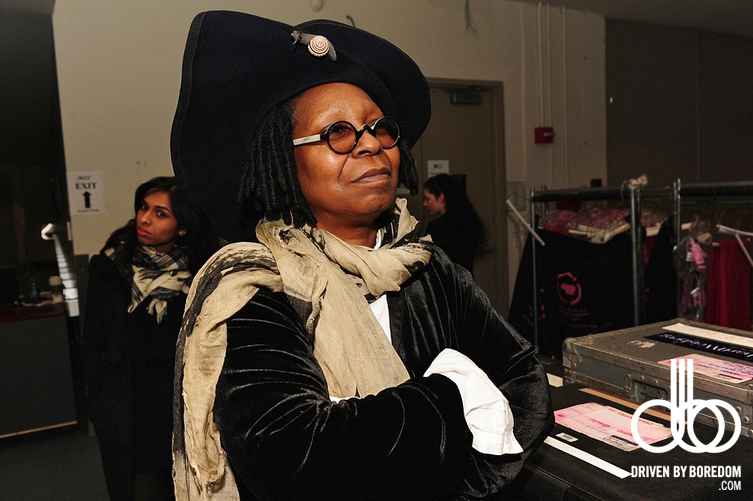 The Gala is a big fundraiser for NYU’s Tisch School of the Arts. They honor famous actors, dancers, musicians and other artists who are involved in the Tisch community and there is big show involving the honorees and Tisch students. They raise money by selling tickets to the show and a dinner held after the show. 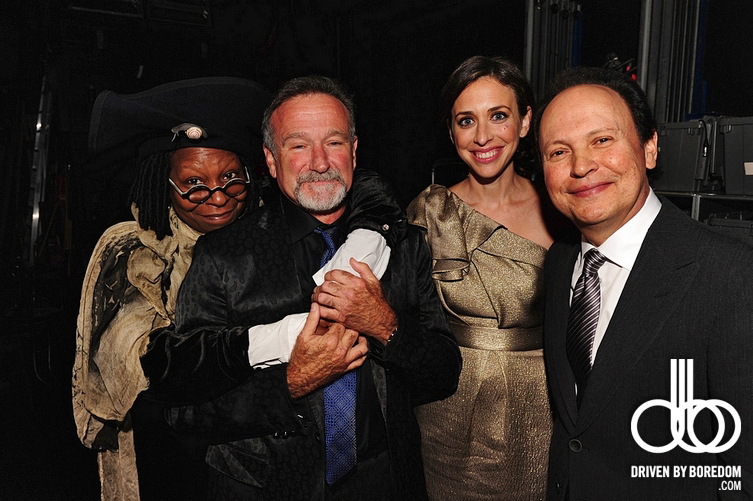 Billy Crystal, Robin Williams and Whoopi Goldberg were the the biggest names in attendance and they were all just hanging out backstage with me. Unfortunately it was so dark back there that I wasn’t able to shoot any photos (I didn’t get to us my flash until the very last number), but I did get to hear some pretty funny Robin Williams conversations. I heard him do his Miss Doubtfire impression and just generally crack everyone up. He made it a point to clap for all the students as they came off stage and introduced himself to everyone. At some point we realized that I was better off in the greenroom since I couldn’t shoot backstage. I shot Billy Crystal’s daughter Lindsay with Paul Shaffer and I shot Marcia Gay Harden with Broadway actor Isaiah Johnson. It was all pretty cool. But clearly my best shots came when I got to shoot the big three together as they were walking on stage for the final number. 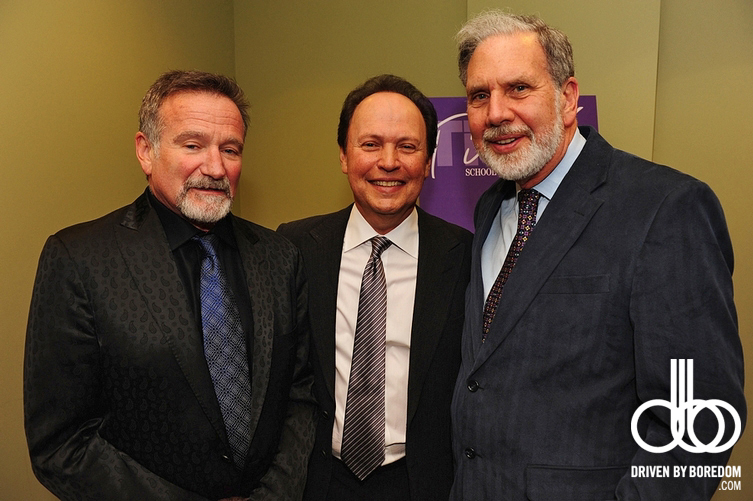 I also got to shoot Robin and Billy with the president of NYU John Sexton. All and all a very cool night and I got to eat a bunch of mini deserts after I finished shooting all the tables. Good times. 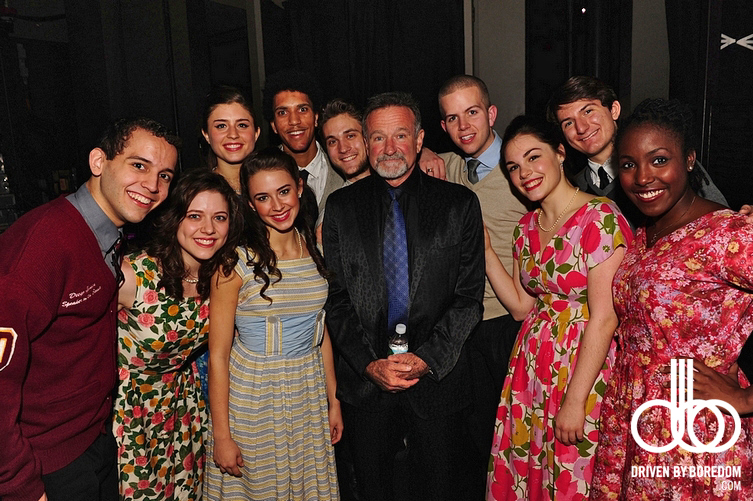 Click here to see all the photos from the 2010 Tisch Gala at Jazz at Lincoln Center.